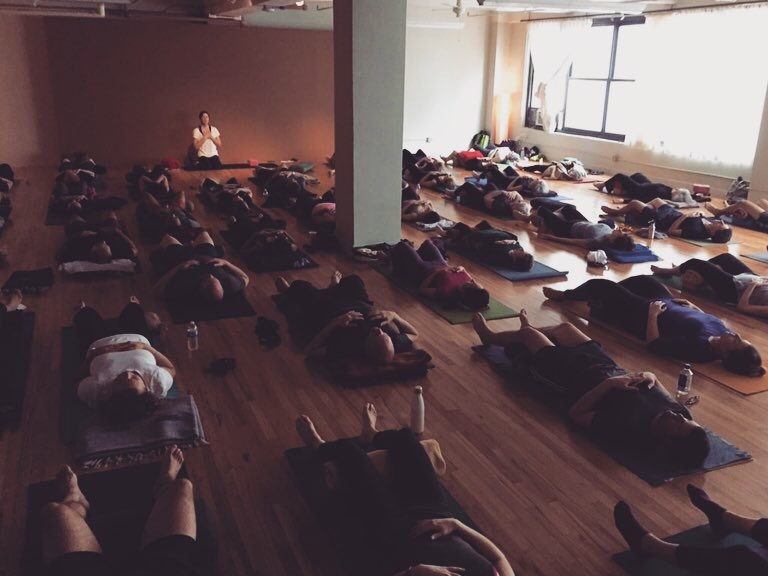 The closing of the Yogaworks Upper West Side studio last November got me thinking a lot about change. It's not the first time I experience the closing of a studio or a big change in my schedule but this one, really affected me emotionally because it was my second "home" for the past 13 years. That's where I took my teacher trainings, that's where I was given the opportunity to teach my first class and never stopped since, that is where I met some of my very good friends, that's where I met inspiring and incredible teachers, that's where I met amazing students and was lucky enough that they kept coming to class after all these years, that's where I was 5 days a week... So that is a big deal. When I first heard the news, I was surprisingly okay with it. After studying yoga for so many years, if there is one thing I know and learned is that everything is always changing. In fact, the only constant is change. So I understood why Yogaworks needed to close. But the days after, as I kept teaching at the studio, it really hit me. And what I was the saddest about was, not losing the space or my 5 classes, but the community. What a community has been built there over the years! Many students knew one another, most met there and created strong bonds; there was a sense of family and kindness that I haven't seen anywhere else. And to me, that was the hardest to let go of. How can we loose this? Because at the end of the day, that is what matters the most: the people and that sense of belonging that we are all yearning for. At the time, one of my students told me it's as if a church was closing. A few days ago, another student told me that the thing she misses a lot is the "lounge" area where you could sit and chat with others before or after the class without feeling rushed. It all comes down again to that sense of belonging, of sharing, of having a human experience rather than a virtual one. The days and weeks after learning about the closing were consumed by finding a solution to keep that community going strong. Many of the teachers started to look for other alternatives, to try to rent a space in the neighborhood to accommodate their students. This is also what I did. At that point, even though the studio wasn't closed yet I had digested the news of the closing and in a way, I was ready to move on. I'm happy to report, that I found a beautiful space on 72nd st that I rent every Monday and Wednesday mornings: World Yoga Center. That place has been here for 45 years so let me tell you that there is a palpable energy in the space full of respect, love and spirituality. And for my Saturday students, I'm now teaching at ZYogawhich is also conveniently located on 72nd st. It's a very pretty studio filled with sunlights. Eventually, the day of the closing arrived and I taught my last class on Saturday November 24th. I had dreaded that day for I knew I would be emotional and holding the space for students when you are, yourself as well, affected by the situation, can be challenging. But that class was so beautiful. I ended up being light and happy. First of all, I was so touched that 60 students showed up for this class the weekend of Thanksgiving, my husband also surprised me and was there to support me. The students were actually the ones who lifted me by their presence and their appreciation. There was such a strong sense of being grateful for all the classes that were held there, for all the teachers. It was a meaningful gathering, very deep and thoughtful. The next Monday, I was starting my new classes at the space I now rent. Although I apprehended the transition, it felt very seamless and smooth and for that I am so grateful to my students who followed me. It's been now a month that I'm teaching my new schedule and somehow it feels like it's been much longer, almost as if nothing happened. I know for a fact that transitions are hard and challenging for me. I experienced quite a few in my life and it didn't always go very smoothly (that's when I was still thinking that everything is meant to stay the same). So now, I'm much better with transition although it is still a source of stress for me. But I've noticed that in fact, it's not so much the transition I'm worried about, it's the unknown. Interestingly enough, I actually love change but it doesn't come easy to me because my mind goes to: "but wait, what if...?" and "what about..?" and “what if you don't make it, or you're not happy...?" Not knowing if that transition is for the best or the worst is the stressful part. And yet, it is in the unknown that lie all the possibilities; not when we are stuck or set in one way. Most of the time, once the transition is done, I'm okay. I find new ways, I adapt, I reorganize myself. But that unknown moment, between learning the news and not exactly knowing what will happen is the scary part for me. And it turns out, it is exactly what happened this time, I was okay when I learned the news then stressed out about the unknown and now that I have my new schedule it's as if it almost didn't happen. I'm always very amazed by the capacity we have as human to be resilient and find new ways. 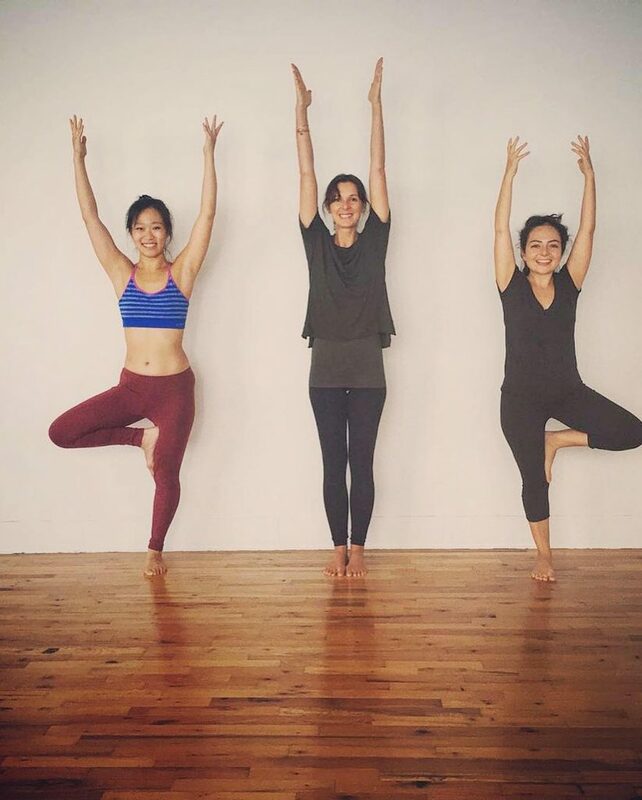 I'm not saying that I don't miss Yogaworks UWS because I do miss it but I opened a new chapter in my teaching life. I feel extremely lucky and grateful to have had the opportunity to teach there for so many years. That place will stay with me forever.